Share the post "My 20 Top Tips For Bloggers"
I’ve been writing this here blog for nearly a year now. It’s been quite a journey. It’s given me so much and taken up so much of my time and my thoughts, but I think that all the ways that it has enriched me is for another post, another day, though very soon, so look out for it! Today, I want to share some of the things that I’ve learned in this first year. These are for people who have got a blog up and running, but if you’re just starting out, I’d definitely recommend using Peoples Host and WordPress to set yourself up with the best possible start. 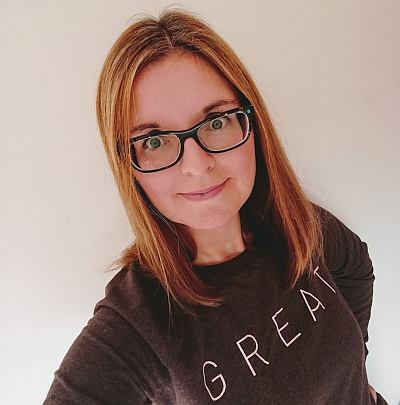 These tips are then in no particular order, and I don’t profess to be an expert, but I want to share my 20 top tips for bloggers in the hope that they might just help someone else out…. 1. Join Twitter. I was actually already on Twitter when I started to blog, but that aside, I’d always recommend that bloggers join Twitter as there is such a huge helpful and friendly blogging community to be found there. 2. So while you’re joining Twitter, may as well set up accounts on other social networks! They are numerous, and there are lots I’ve yet to even look into, let alone use properly. G+, Facebook, Bloglovin, Pinterest and Instagram are the places that I’ll usually be found, and I have clear links to them in my sidebar so that people can actually find me there! They are fun and can help drive traffic, but over this last year I’ve also discovered that they can drain huge quantities of my time – huge! So I’d advise limiting time spent on them – you want to get somewhere in between just link-dropping as that’s pretty useless and annoying, and spending hours at a time on them! A balance that I’m only getting close to striking now, but I’d still say that if you took my phone off me and cut me off from social media that I might just cry…! 3. Be a part of the community. Read, comment, share, interact, enjoy. I love reading other blogs, and I like sharing posts and ideas from others. Blogging can be quite isolating and introspective, so I like to get chatty with others. And it’s of a real benefit in learning more, too. I know a bit about a fair bit, but then I know who to ask about the rest. Again, this goes back to being part of the community. For example, I was totally clueless about G+, but then Kriss over at Wild About Here shared her Google Plus knowledge and experiences, and so I’ve learned from her and go to her with my questions. 4. Join in with linkys. They are a great way of getting yourself known in the blogging community, finding others blogs to enjoy, getting reciprocated reads, inspiration for posts and so on. Now, I don’t want to be contradictory, but now that I’m a year on, I’d say don’t get too caught up in them. I think you know when to take a step back. I get a fair few readers and comments now, and so if I join in with a couple of linkys each day, as I used to when I got going, I can’t really keep up! And, there’s a danger of writing content for the sake of it to fit with a linky, which is fine if you want to write it anyway or enjoy the post, but if you’re doing it ‘just because’, then I’d say stop. Just find a balance that works for you. Personally, as well as running them, I have a few favourites that I join with most weeks, and then others that I utilise as and when I’m writing a post that fits and would benefit from more attention, or if I happen to have a bit more time available that day. I like to reciprocate and properly join in with linkys, so if I know I won’t have time to comment on other blogs, I don’t join in. It’s not fair. You can read more on this in my post 10 Tips for Participating in Blog Linkys. 5. I’ve come a long way with my photography. This has been a huge and really fun learn for me. I ran a short series called Learn With Me: Photography and since then, I really think about the photos I use. I like them big, but not too big that they don’t fit or take ages to download. When I think a post is ‘pinnable’ I work to make the images easy and clear to stand out on Pinterest, though this is still a work in progress. I like using PicMonkey and Canva most often. Name/tag your photos and use the best ones when sharing across social media. It helps to use photo first, link later on Facebook and G+. 6. Make an effort with your About Me page. I sometimes see blogs without them at all, which baffles me. I get a fair few hits each day on my About Me page, which tells me that readers want to know who it is that they’re listening to. So complete it, share some photos and a little bit ‘about’ you. I’ve shared a few of my top tips on How to Write a Brilliant About Me Page here. 7. If you’re interested in traffic, think long and short term with posts. I like a good mix! So short term, things like give-aways obviously get me lots of traffic, but as soon as the give-away ends, that post is pretty much redundant. But then if I write something like a recipe post, or an opinionated piece, people keep on coming back, so they keep a steady stream coming my way. 8. Refer back to relevant posts within your posts! If a reader is interested in the subject that your currently writing about, then what else might be of use to them, too? 9. Initially, I had lots to say, then I flagged, and now if time allowed I could literally schedule posts weeks and weeks in advance such is the bank of ideas that I have! But if you are in a slump, here are a few tips from me to Get Your Blogging Mojo Back. 10. Stats and rankings. This can be an issue for many bloggers, as it can draw you in and you can obsess! After nearly a year, I think I’ve made my peace with it all. I acknowledge that I do want people to read my blog, and so stats do matter to me (I know they don’t to plenty, so I’m not saying that they should, simply that they do to me), and with stats often come rankings – things like Tots100. I was excited to get within the top 500, then top 250 etc. of Tots100 and aimed for them, though it’s no longer what guides me. I’m fortunate to do OK in these charts, which is perhaps why they don’t drive me as much now, but what I do aim for is more readers, and to keep current readers happy and coming back. The issue with rankings, very useful though they are, is that they are obviously all about comparisons! But how can you compare yourself and compete with what you can’t control and with people who have way more experience than you? It’ll just get you down, and I’ve seen many a fabulous blogger get put off due to a ranking, which is a crying shame. So my goal is to do the best I can do, be better than I was before and grow and grow. I only look to improve myself now, and that feels more comfortable to me. 11. I keep a diary just for blogging. It allows me to schedule posts in advance, and by doing that I like to see a fair spread of content. What I mean there is, if I publish a sponsored or guest post, or review, I tend to like it to be followed up with a few more personal ones from me. I can plan to join in and make a note of linkys in this way, keep on top of contacts with other bloggers and PR folk, and ensure continuous fresh posts. 12. Think about the design of your blog. Do you like how it looks? if you don’t, others probably won’t! I talked about my blog redesign here, and I’ve been in love with how my blog looks ever since. It’s nice to be unique, and I like to think, user-friendly, so easy to read font, easy to find things in the sidebar, not too cluttered, a mobile responsive theme as so many people read blogs on their phones now – that sort of thing. You can read more tips on improving the appearance of your blog here. 13. Run a blog linky, but be prepared for the work. I have run several one-off linkys over this past year, as well as regular ones, and they have all been fun to do. It gets you interaction with other bloggers and if it’s popular, traffic and backlinks. I wrote some tips on how to get going with a blog linky here. They are great, but I’d also warn that they are hard work and can take up a lot of time! 14. Invest a little time over on Pinterest. Not only is it a wonderful and pretty place, it’s useful and helps me to get some blog traffic. I wrote a post all about it, so do check that one out – To Pin or Not To Pin: A Blogger’s Guide to Pinterest. 15. The dull stuff is important, too. Check your plug ins are up to date, back up your blog, be conscious of SEO (I use the Yoast plugin for WordPress), get a Privacy & Disclosure page, make sure you do disclose and sort tax if that’s relevant to you. 16. You don’t have to have all of the answers to write a post. If you really want some ideas for yourself and want to pull them all together, they can be fun posts to write. There’s lots of ways to do it, but I tend to go for sharing Pinterest content, as I did in this post, 10 Easter Activities for Pre-Schoolers, or more crowd-sourcing and asking others for ideas, as I did over on Twitter for this post, 10 Natural Garden Remedies. You get a great mix of ideas this way, get to answer your own questions by pulling together some great resources, and you’re being rather lovely sharing other people’s ideas and content – just make sure you do link and credit here, otherwise this is a very different thing and is actually massively rude and theft! 17. Make it easy for people to comment on your blog and share your content. As I run blog linkys, I comment on every post that links up with me and aim to share it, usually on Twitter. I can’t always find how to share, I come across CAPTCHA all too often (get rid of it! ), and I’d recommend setting up your Twitter social share button with your Twitter name. 18. If you’re looking to work with other companies and brands, get yourself a media pack. It’s handy to have to be able to send out if you’re approaching people, and PRs often ask for it. Here’s my guide to creating one, if you need some help with putting that together. 19. It needs to interest you to write it. If it doesn’t, or if it lives in your drafts folder for too long, trash it and start afresh. You don’t have to stick to series, linkys and posts if you’re not enjoying it – it’s your blog so you can do whatever you please with it. Take a break if you need to, sit and brainstorm ideas (on paper, I’d say, obviously! ), do whatever you need to do, and then come back to it ready to share. 20. This is the biggy. The main thing. Be true to your own voice and style and write what you love. A lot of people talk about finding your niche and sticking to it. Personally, I’ve not done that! Why? Because to be true to my style and my own voice, and to write what I love, I kind of have to be a bit more scattered! If you met me, that’s how I am. I’m full of ideas and I want to innovate and have fun and try lots of things, and so my blog posts can be random as they follow my thought processes and projects along with me. That said, I try to stick to a schedule which helps me and my readers, keeps me on track! So there you have it. A sample of some of the things that I’ve figured out this last year. It’s funny to think that these things, the jargon, the social media are all second nature to me now and I know it pretty well (at least on the surface, as I have soooo much more that I’m trying to learn), but this time last year I wasn’t even blogging. I wonder what I’ll know by next year….?! I do plan to run more regular blog tips posts, so I’ll expand on more of these ideas and add to them over time, and I’m always learning and developing so much more, so do follow if you’d like to read more. If you’re a blogger, what tips would you add? Can you relate to any of these? That’s a great list Jocelyn, I’d agree with everything on there and struggle to think of anything you’ve missed! Thanks very much, Christine. There have been lots of learns! I got some great advice from honest mum when I asked about niche – she said if you have a strong voice then that is your niche, giving you scope to write about whatever you love. That is great advice, and reassuring in the face of my randomness! I wish I could get my blog off the ground, I’ve been reading your blog for quite a while now and I’ve loved seeing how far you’ve got. I’m a bit envious from the sidelines over here! Thank very much, so glad it’s useful. No, don’t be envious! I’m sharing all I can and know, but the biggest thing it to enjoy it. I put hours and hours into it, hence it growing, but I’m still passionate about it and have figured out ways to be organised so I can still actually ‘live’! Your commitment is obvious, it’s lovely to read a blog by someone who really enjoys the whole blogging world. Some really useful things in here Jocelyn. For me, the key point is the last one-your blog, your voice. And yes, I too have struggled with the idea of a niche, but have only very recently realised that my niche is me! I still am a bit random with Pinterest but do love Instagram and Twitter-my favourites and the ones I come back to. I think I’d rather do a few things well than spread myself too thinly and do everything not so well, if that makes sense? Yes, it’s your blog, your voice. You are the niche, Iona! Are you saying that you’ve spotted that I’m doing something not so well then…??! Great post with really useful advice. I remember I used to be completely obsessed with my ranking and stats and linkies and eventually I ended up standing back to have a good luck at my blog again. I’m a lot more chilled out with it all now and don’t feel pressured about doing this or that! Shay Noble recently posted…Would You Like a Girl’s Toy or a Boy’s Toy With That? Great post, love the tips. I find stuff like this so helpful and I enjoy reading it so much. I have already followed some of these tips and I have plans for others in the future. You’re very welcome, Nikki. Glad to be of help! Carol Cameleon recently posted…How I improved my blogging experience and how you can too! I know – packed it in! What a great post! Loads of good advice on here – thanks for sharing. I agree completely with the find your own voice and experiment bit- I am still messing around a lot and it is easy to be swayed by othe styles that seem successful but if it’s not really you then it will never last the course. Kate Limburn recently posted…It’s out! Thank you. Yes, I think it’s crucial, and you really have to be yourself. Donna recently posted…Review: Spin Collective Wall Sticker and Competition! That is a brilliant post, Jocelyn! Thanks for sharing all those tips. It seems that rankings are important in blogging and I have no idea whatsoever about them: how you get ‘ranked’, what the various factors are etc. and I think my ignorance makes it much easier to completely ignore those, haha! I did not have a Twitter account (or Instagram, Google +, Facebook page… well I had no social media accounts, really) before I started blogging, and I agree with you: Twitter is great for interacting with other bloggers and making friends! As for linkys, I love them, too! The first one I ever joined was yours and it made me find out about such great blogs; I was hooked straight away! I love this post Jocelyn – and not just because you gave me such a lovely shout out – but because you’ve hit on the nail so many key points. I think everyone venturing into the blogging world should read this! Fabulous post Jocelyn I honestly would think you had been blogging for years, you write so well! You make some great points and the advice is amazing. It can be very hard not to get bogged down with stats and rankings, and comparing yourself to others and wondering what you are doing ‘wrong’. I find it difficult to find my voice because when I read my work I often think it is rubbish compared to others, it is hard to write in your own style when you are not confident about it. Bloggermummylauren recently posted…Caitlin is growing up.. Thanks very much! Comparisons can be tough, so focus on enjoying it and if you want to write the post, your voice will come through and it’ll be fab and your own style will emerge. I have faith in you! You’ve come an incredibly long way in a year and this is all really good advice. When I’d been blogging a year, hardly anyone had heard of me. It took me nearly a year to discover things like linkies and Britmums/ Tots 100. Seriously! Great tips! I have been trying to do these things off and on for a couple of years. It really is easy to become obsessed with the stats. When I ignore them and post about the things that interest me, I enjoy it much more. I am looking forward to clicking on all the links you shared. Thank you for putting this together. What great tips! I learned a lot! Great tips. I recently shared my behind the scenes blogging on the blog too. I would say another tip you could add is to have a blogging calandar/ schedule as it will help you plan your blog post more easily. What a very comprehensive list Jocelyn. I can’t really think of anything else that I would add and I agree with you on all of it, especially the ‘being true to your voice’ thing. I’ve finally stopped worrying about what other people will think and just write from the heart. So liberating! Thanks, Suzanne. That one is key, and it is liberating to just go with it! Thanks, Fiona. I tried to put down everything I could think of! Thanks for a really good post – all useful stuff. As a newish blogger, I have a long way to go! Sharon Pickles recently posted…Atomic Blondies! These are great tips – thank you so much for sharing them. You have definitely given me some food for thought! Glad you enjoyed reading, and yes, turn it off! Really useful post even for someone who has been blogging for a little while ( over 2 years) I also blog about lots of topics and used to worry about it but now I think ah whatever I enjoy it. Lovely to hear that it’s helped you! A brillliant list… I have no idea how you managed to come up with 20 top tips?! Thank you! Once I got going, I could not stop! I am just a newbie and learning so much from other fabulous bloggers such as yourself who are happy to share their tips. I am just about to head over to your post about creating a Media Kit…as I have no idea what that is and think that I should! LOL! Wow, what a font of great information – thank you so much! I’ve so much to learn, but your blog will be a wonderful source of advice and inspiration.